After some legal skirmishing between the courts and doctors, certified registered nurse anesthetists will not need to be supervised by a physician, according to this article on Nurse.com. This upheld previous rulings to that effect from the lower courts, and also serves to confirm that the former governor of Colorado, Bill Ritter, was acting within his rights when he opted out of a federal physician supervision requirement for nurse anesthetists at several hospitals in 2010. At the time two physicians’ organizations brought suit against that decision. This is one of several instances in which physicians are fighting against allowing nurses (such as nurse practitioners or certified registered nurse anesthetists) to act without physician supervision. A district court granted summary judgment on March 31, 2011, affirming Colorado’s opt-out of the federal supervision requirement. The judge stated that in Colorado, the administration of anesthesia by CRNAs is an independent nursing function and does not require physician supervision, an important condition for seeking an opt-out from Centers for Medicare & Medicaid Services rules requiring physician supervision in hospitals that receive Medicare reimbursements. 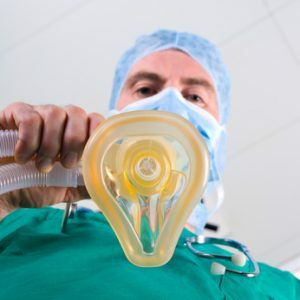 The ruling is particularly important for rural communities given that CRNAs are the sole provider of anesthesia services in more than 70% of the state’s hospitals, according to a news release from the American Association of Nurse Anesthetists. CRNAs personally administer approximately 32 million anesthetics to patients across the United States each year, according to the AANA. The association said two recent national anesthesia studies confirmed the safety and cost-effectiveness of CRNAs, who practice in every type of setting in which anesthesia is delivered and are the sole anesthesia providers in most rural hospitals. Fran Ricker, executive director of the Colorado Nurses Association, said the ruling will increase patients’ access to anesthesia services, especially in rural areas that potentially have a shortage or absence of anesthesiologists to meet patients’ needs. Colorado was the 16th of the 17 states that have opted out of the federal rule, joining Iowa, Nebraska, Idaho, Minnesota, New Hampshire, New Mexico, Kansas, North Dakota, Washington, Alaska, Oregon, Montana, South Dakota, Wisconsin, California and Kentucky.